As the end of the week approaches, it’s time to check out what’s happening on the Nintendo eShop. 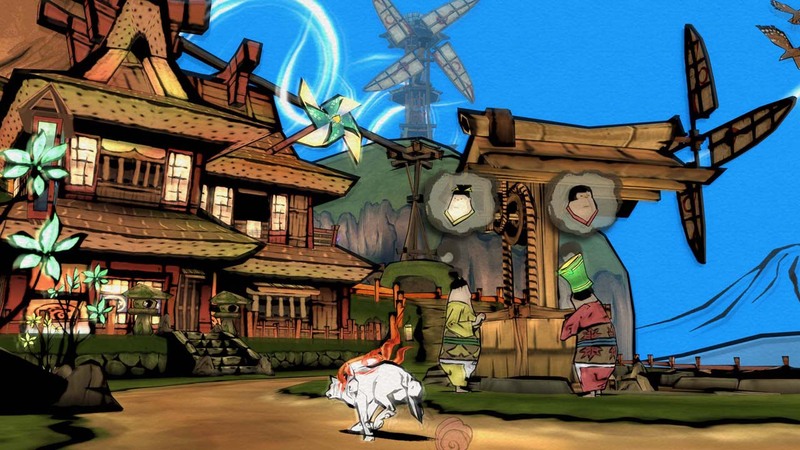 This week brings Okami back to our screens, this time in glorious HD. There’s also a Nintendo Labo contest, a Dragon Ball Fighterz Open Beta, and plenty of other games and discounts to mull over. Check out the full list below and let us know which Nintendo eShop games are on your radar this week. Check out the full list of deals available at http://www.nintendo.com/games/sales-and-deals. Calling All Nintendo Labo Fans! – In less than two weeks, the latest Nintendo Labo Creators Contest No. 2 ends! Have you started on your entry? A team of Nintendo Labo judges will select four winners in two categories: Best Toy-Con Musical Instrument and Best Gaming Experience using Toy-Con Garage. The contest ends at 10:59 a.m. PT on Aug. 20. You can also check out other submissions here – and don’t forget to give a “like” to your favorites! The prizes include a specially designed, collectible cardboard-inspired Nintendo Switch system, Nintendo Labo Creators jackets and more. For more info, please visit the official contest site at https://labo.nintendo.com/share/#!/contest/.Void where prohibited. Open to legal residents of the U.S. and Canada (excluding Quebec), ages 13+. Nintendo Switch system and Nintendo Labo kit required. Contest begins 11AM PT on 7/19/18 and ends at 10:59AM PT on 8/20/18. To enter, upload a video of your Toy-Con creation or invention as detailed in the Official Rules. 2 Grand Prize winners will each receive one (1) collectible Nintendo Switch system (ARV: $ $1,000 USD), one (1) Nintendo Labo Creators Jacket (ARV: $ 70.00 USD), and one (1) award certificate (ARV: $ 70.00 USD). 8 Runner-Up winners will each receive one (1) collectible pair of Joy-Con controllers, one (1) Nintendo Labo Creators Jacket (ARV: $ 70.00 USD), and one (1) award certificate (ARV: $ 70.00 USD). Total ARV of all prizes: $3,640 USD. Chances of winning a prize depend on eligibility and quality of entries received, and how well each meets the judging criteria. Details and restrictions apply. For Official Rules, visit https://labo.nintendo.com/share/#!/contest-rules/. Sponsor: Nintendo of America Inc.